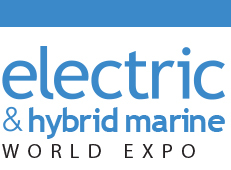 Electric & Hybrid Marine World Expo, to be held in Amsterdam, the Netherlands, from 23-25 June 2015, is dedicated solely to showcasing the very latest and next-generation electric and hybrid marine propulsion technologies, components and solutions. Our representation in the Czech Republic, Troma-Mach s.r.o., looks forward to seeing you. Giant machines on 570,000 m² of exhibition space with morthan 3,400 exhibitors and around 530,000 visitors—bauma is the largest and perhaps the most impressive trade fair in the world. However, the undisputed leading inter national trade fair is also enthralling because it is so comprehensive. It features all sectors, all market leaders and plenty of innovations. Our representation in Ortlinghaus International Trading (Shanghai) Co., Ltd., looks forward to seeing you. The 13th China International Machine Tool Show (CIMT 2013), organized by China Machine Tool & Tool Builders Association (CMTBA), will be held at New China International Exhibition Center (NCIEC) from April 22 to April 27, 2013. China International Machine Tool Show (CIMT) is recognized as largest exhibition which will welcome its 13th session since it was first launched in 1989, industrial group of China. Our representation in Norway, AIE Maskin AS, looks forward to seeing you. A biennial event, Nor-Shipping is today not only the largest such event in Scandinavia, but also in Europe during the years in which it is held (the odd years – 2013, 2015 and so on). Nor-Shipping’s status as a “must attend” maritime event is supported by the fact that 100 percent of our visitors are maritime professionals. Our link to Norwegian shipowners and offshore industry is also seen as a strong plus. Our representation in Poland, Techno Plus, looks forward to seeing you. Polska Technika Górnicza S.A. (Polish Mining Technics Jsc), which was  established by key mining machines and devices producers, is an  organizer of the biggest in Europe International Fair of Mining, Power  Industry and Metallurgy “KATOWICE”. The fair show has a 29-year-old tradition and is organized biennially in  the biggest fair and concert hall in Poland – “Spodek”, located in  Katowice, the capital city of Polish mining industry. Our representation in China, Ortlinghaus International Trading (Shanghai) Co., Ltd., looks forward to seeing you. Organized by CCMI, MetalForm China is the unique famous show focusing on metal forming industry in China. There were about 400-500 exhibitors each time showing forging, stamping and fabricating machinery, die & tooling, automation, ancillary equipment, material, metal formed parts that cover the whole chain of forging, stamping and fabricating. It aims to offer the metal formed parts producers one-stop service. As one of the brand shows, ChinaForge Fair was launched in 1990, and now is the number one of the world; the stamping and fabricating show ranks among top three shows related to metal forming industry in China. Every year, about 10,000 companies make the participation to the show and its concurrent conferences into their annual schedule. Our representation in Netherland, De Graaf - Aandrijvingen, looks forward to seeing you. Our representation in USA, Orttech, looks forward to seeing you. North America’s largest commercial marine tradeshow has NEW DATES! October 9-11, 2013 in New Orleans, La. The WorkBoat Show is the only solution that can connect you to the best resources in the maritime industry all in one convenient location. With over 1000 exhibitors and thousands of innovative products, you’ll be able to meet and negotiate face to face with colleagues and suppliers to find the new ideas that bring in business and save you money. North America's largest metal forming, fabricating, welding and finishing event will be held at the North and South Halls of McCormick Place, Chicago, Illinois, USA, November 18-21, 2013. The upcoming event is expected to cover more than 550,000 net square feet and anticipates over 35,000 attendees and 1,500 exhibiting companies. Our representation in India, Ortlinghaus Drive Technology India Pvt.Ltd., looks forward to seeing you. IMTEX Forming 2014 is an exclusive business-to-business exhibition from the organizers of the globally-renowned IMTEX brand. 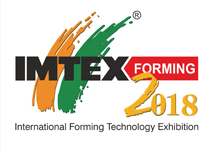 The uniqueness of this IMTEX fair is about its focus: the exhaustive range of forming technologies in all engineering applications. IMTEX Forming 2014 is a greatly expanded fair and includes all forming technologies predominantly in metals, plastics, ceramics, composites and exotic materials; manifestation of which has one ultimate objective: enabling manufacturing excellence through world-class productivity & cost-competitiveness. The show as also flagship event of IMTMA, will layout the very latest machine equipments, processes, tools, accessories, software and raw materials as well as feed stocks required to manufacture formed parts in diverse engineering applications. (Shanghai) Co., Ltd., looks forward to seeing you. CCMT (China CNC Machine Tool Fair) is recognized by exhibitors and visitors as one of the most important machine tool exhibitions in China. CCMT is the sister exhibition of CIMT (China International Machine Tool Show). Represented product groups include CNC machines, machine controls, machine components, industrial machinery, encoders, linear systems and many more. Our representation in UK, Ortlinghaus UK Ltd, looks forward to seeing you. MACH is the outstanding showcase for advances in the manufacturing industry brought to you by the Manufacturing Technologies Association (MTA), a UK based trade association dealing specifically with engineering based manufacturing. It is a biennial exhibition which brings together all the best innovations and latest developments to come from the manufacturing technologies sectors under one roof. In 2012 over 6,000 tonnes of live working machinery were on display, attracting over 21,500 visitors. MACH 2014 promises to be bigger and better, and exhibitor take-up is already 25% ahead. In addition, OEM and prime businesses such as Airbus, Rolls-Royce and Messier Bugatti Dowty will be joining the event as exhibitors and will make significant contributions to our vibrant seminar programme running throughout the week.The programme will highlight key developments in the sector and offer advice on how to make the most of them. Leading international maritime trade fair features 'theme days' highlighting industry trends; record results expected for 26th SMM. Every two years Hamburg assumes the role of world capital of the maritime business for the duration of SMM, the leading international maritime trade fair hamburg and a major meeting place of the decision makers of the maritime industry. Over 2,000 exhibitors and roughly 50,000 industry visitors from all continents are expected to attend the 2014 leading international maritime trade fair with its programme of superlatives. Our representation in Netherlands, De Graaf Aandrijvingen B.V., looks forward to seeing you. Dalian Xinghai Exhibitions Co., Ltd.
From 21 - 25 October 2014, the 23rd International Sheet Metal Working Technology Exhibition has opened its doors again in Hanover, Germany. As the world’s leading exhibition and business barometer for the sheet metal working industry, EuroBLECH offers its audience a comprehensive idea of the prevailing technological trends. Over 60,000 of the industry’s key purchasers and decision makers and more than 1,500 exhibitors from 39 countries attended the previous show. Clearly structured and subdivided into 15 technology sectors, EuroBLECH shows the entire sheet metal working technology chain: sheet metal, semi-finished and finished products, handling, separation, forming, flexible sheet metal working, joining, welding and surface treatment, processing of hybrid structures, tools, quality control, CAD/CAM systems and R&D. 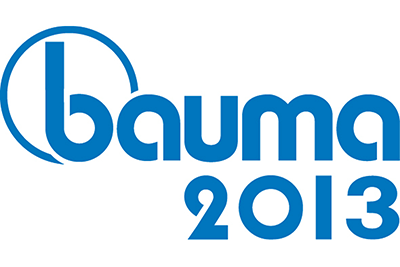 2,718 exhibitors from 38 countries and around 180,000 trade visitors from 141 countries: bauma China set new records again in 2012. But the international industry gathering is not just convincing because of its remarkable numbers across the board. The quality of its exhibitors and visitors is also impressive. All the international key players present their machines and products at bauma China. 93 percent of all visitors here are decision-makers who are looking specifically for new solutions: CEOs, managers, investors and buyers from around the world—and of course from Asia’s major growth markets in particular. North America’s largest commercial marine tradeshow has NEW DATES! December 3-5, 2014 in New Orleans, La. The WorkBoat Show is the only solution that can connect you to the best resources in the maritime industry all in one convenient location. With over 1000 exhibitors and thousands of innovative products, you’ll be able to meet and negotiate face to face with colleagues and suppliers to find the new ideas that bring in business and save you money. 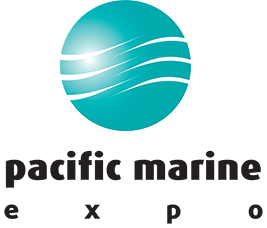 Precision Metalforming Association is the official sponsor of METALFORM Mexico. A dynamic, growing tradeshow that connects buyers and sellers; METALFORM Mexico is co-located with the AWS Weldmex, FABTECH Mexico. Known as Mexico’s “Mega Event”, it’s the largest manufacturing event in Latin America for metalforming, tool and die, forming, fabricating, tube and pipe, welding, assembly and finishing of sheet metal component parts and assemblies. The 37th edition of Europort will take place from 3-6 November 2015 in Ahoy Rotterdam. Established as one of the world's leading maritime exhibitions, attracting visitor numbers of about 30,000 maritime professionals from 84 countries, Europort is a must attend for anyone who wants to stay ahead in the international maritime market. No other event has the scope of coverage Europort manages. Bringing together all sectors of the maritime chain under one roof, Europort is unrivalled as a platform to showcase innovation and connect to the wider maritime community. For the 2015 edition a number of 1,100 exhibitors and 16 country pavilions are expected. FABTECH brings a wealth of innovation and technology solutions to Chicago, IL November 9-12, 2015. The four day show will cover 550,000+ net square feet of floor space throughout the North Building, Halls B1, B2 and Hall C1, and South Building, Halls A1 and A2 at McCormick Place. More than 40,000 attendees and over 1,500 exhibiting companies are expected to gather once again celebrating metal manufacturing at its best. The event also provides learning opportunities beyond the show floor with over 100 educational sessions and expert-led presentations covering the latest trends and technology in the metal forming, fabricating, welding and finishing industries. Innovations in agricultural machinery and equipment and the latest solutions and concepts for the future of plant production are presented every two years at AGRITECHNICA in Hanover, Germany. The world’s leading exhibition for agricultural machinery and equipment will be held again from 8 to 14 November 2015. In 2013 altogether 2,900 exhibitors from 47 countries attracted 450,000 visitors – farmers, contractors and machinery dealers from all over the world. The international contingent comprised 106,000 visitors from 88 countries who were inspired by the agricultural machinery innovations in the 24 halls – a globally unique professional dialogue. Marintec China is regarded as the only gateway to the Asian maritime market and has grown to the largest than ever. Being the most recognized maritime trade show in Asia, Marintec China is definitely an international marketplace for buyers to source from international sellers showcasing their latest marine, ship design, offshore engineering and port technology. 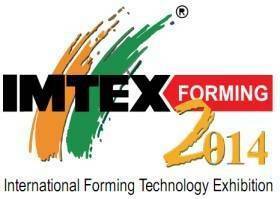 IMTEX FORMING is an event for the Indian Metal Forming Industry. It is South and South-East Asia's apex exhibition showcasing the very latest trends in metal forming machine tools as well as technological reﬁnements from India & other global players. The mega event attracts visitors from a wide spectrum of manufacturing and ancillary industries starting with key decision and policy makers as well as industry captains who are keen to source latest technologies and manufacturing solutions for their production lines. It's critical to be up-to-date on the latest in commercial vessel maintenance. In the face of today's changing technology, economy, and regulatory environment, you and your team need to be more agile and learn new products and skills faster than ever before. The health of your vessels and crew rests upon the choices you make every day. The WorkBoat Maintenance & Repair Conference and Expo in New Orleans this coming April will help you navigate it all, and prepare you for what's coming down the road. Our representation in USA, Orttech, is looking forward to meet you. Our representation in Sweden, EIE MAskin AB is looking forward to your visit. With iAutomation Elmia takes a comprehensive approach to the automation industry. The concept is built on two legs – new business and industry development. The fair will mainly consist of companies focused on production and value adding of automation components and systems for the Swedish industry. With iAutomation Elmia wants to play a part in making the Swedish industry safer, more profitable and more competitive. The process of development is carried out in close cooperation with the industry itself and Elmia has therefore signed a long-term agreement with Svenska Automationsgruppen, SAG. Welcome to Elmia Automation 10-13 May 2016! Now in its 48th year, the International Tug, Salvage & OSV Convention and Exhibition will be held in Boston for the first time in 2016. Founded in 1630 on a site that was already a Native American trading centre, Boston is the oldest continually active port in the western hemisphere, supporting more than 50,000 jobs and contributing US$4.6bn to the local, regional and national economies. Celebrated for its role in the run up to the American Revolution when, in 1773, between 30 and 130 Sons of Liberty consigned 342 barrels of tea to the watery depths of its harbour in what is now known worldwide as the Boston Tea Party, Boston is today home to a major container terminal, handling 177 vessels last year. With its historic heart, Boston is a popular destination for cruise liners, with 115 visits during the 2014 season, and it is also home to a commercial fishing fleet. Our representation in Netherlands, De Graaf Aandrijvingen B.V., Ltd., is looking forward to see you. The Electric & Hybrid Marine World Expo, to be held in Amsterdam, the Netherlands, from 21-23 June 2016, is dedicated solely to showcasing the very latest and next-generation electric and hybrid marine propulsion technologies, components and solutions. With 50,000 visitors from all over the world in 2014, SMM continues to cement its position as the most important event in the maritime industry calendar, year after year. This extremely high number of visitors reflects the broad range on offer at this trade fair. SMM is attended by top shipbuilders, key players in the value chain, operators and service providers. It is a unique opportunity to share ideas and meet with representatives of industry, government, navies and the scientific community. Thousand of SMM visitors also come to Hamburg to take part in or listen to the comprehensive series of choice supporting events. Mark your calendar for September 26-28 at the Las Vegas Convention Center. From 25 - 29 October 2016 the 24th International Sheet Metal Working Technology Exhibition will open its doors again in Hanover, Germany. As the world’s leading exhibition for the sheet metal working industry, EuroBLECH offers a global platform for the presentation of the latest technology to a specialised audience of the industry’s key purchasers and decision makers. A total of 59,600 international trade visitors and 1,573 exhibitors from 38 countries attended the previous show. With integrated production as the prevailing industry trend, intelligent sheet metal processing is a key focus for the sheet metal working industry in order to achieve efficiency and optimized output. The increased use of automation and software requires fine-tuned adjustment along the entire sheet metal working chain including upstream and downstream processes. Thus, there is high demand for customised machine elements and systems that fit precisely into the networked fabrication plant and guarantee highly flexible production. Since the start in the early nineties, the SHIPTEC CHINA exhibition in Dalian has grown steadily and will be the most important maritime exhibition in China in 2016. It is a natural reason for this: top China shipbuilders and offshore construction sites in the surrounding Bohai area are attracting people from all over the globe to make business in the north-east. Shipowners, oil companies and the whole industry come to buy and to sell. Offshore Energy Exhibition & Conference (OEEC) is the only dedicated offshore energy event in the Netherlands. Founded in 2008, OEEC has been breaking records year after year. This annual event is focused on the complete offshore energy industry, from oil & gas to wind and marine energy and will be held on 25 and 26 October 2016 in the Europe Complex of the Amsterdam RAI. FABTECH brings a wealth of innovation and technology solutions to Chicago, IL November 16-18, 2016. The four day show will cover 550,000+ net square feet of floor space at McCormick Place. More than 40,000 attendees and over 1,500 exhibiting companies are expected to gather once again celebrating metal manufacturing at its best. The event also provides learning opportunities beyond the show floor with over 100 educational sessions and expert-led presentations covering the latest trends and technology in the metal forming, fabricating, welding and finishing industries. North America’s largest commercial marine tradeshow will be from November 30th to Decemeber 2nd in 2016. The WorkBoat Show is the only solution that can connect you to the best resources in the maritime industry all in one convenient location. With over 1000 exhibitors and thousands of innovative products, you’ll be able to meet and negotiate face to face with colleagues and suppliers to find the new ideas that bring in business and save you money. CONEXPO-CON/AGG – Where every major construction industry is represented amongst 2,500+ exhibitors over 2,500,000 square feet and more than 140 education sessions including asphalt, aggregates, concrete, earthmoving, lifting, mining, utilities and more. From contractors to dealers & distributors, service providers, engineers and producers, CONEXPO-CON/AGG brings construction professionals from across all disciplines. No other show's attendees represent more sectors of the construction industry than CONEXPO-CON/AGG. The combined event continues to be the primary gathering for leading metal manufacturers in Mexico and will bring together 575 exhibitors and cover more than 140,000 net square feet of show floor. Over 13,000 attendees from Mexico and South America will converge on the Cintermex to find solutions, network, learn and experience first-hand the latest innovations in the metal forming, fabricating, welding and finishing industries. Nor-Shipping is the leading maritime event week. Our top-quality exhibition, high-level conferences and prime networking opportunities attract the international maritime industry to Oslo every other year. For 50 years, Nor-Shipping has provided a platform for the maritime world to explore the future. The 2015 event was the largest such event in the year, not only in Scandinavia but also in Europe. While our visitors come from around 80 countries, the Norwegian maritime cluster’s strong presence at Nor-Shipping is a big attraction for many of our international delegates. While Nor-Shipping is a weeklong event filled with an incredible array of diverse activities, it is the exhibition that is at the heart of it all. It showcases approximately 22,500 square meters of the best and latest in maritime technology, services and solutions spread across six halls. If your business falls within our main theme areas, you will fit right in at the exhibition. These are: IT and navigation; safety and rescue; shipbuilding and repair; maritime services and logistics; and propulsion and machinery. For those who are more focused on the commercial side of the industry, our conferences have proven to be a big draw. Our representation Ortlinghaus UK looks forward to seeing you. Seawork International is Europe’s largest commercial marine and workboat exhibition. Seawork is regarded as the industry’s one-stop-shop, providing buyers, legislators and influencers with direct access to the commercial marine and workboat market, its products, its innovations and its people, for three invaluable days every June. Since 1998 Seawork International has delivered a unique on-shore and on-water trade exhibition. Nowadays, Seawork comprises an exhibition, conference and awards, attracting over 7,600 industry professionals, 10,000 products and services, together with over 70 vessels. Seawork International will return 13-15 June 2017 at the prestigious Mayflower Park venue in Southampton, UK. Our representation in Japan, Tomita Co. Ltd., looks forward to seeing you. MF-Tokyo Metal Forming & Fabricating Fair Tokyo was founded in 2009 with the aim of introducing the technology advancement of the metal forming machinery industry, which is lean and environmentally friendly, has been held in odd-numbered years, and wil l be the 5th edition this time. Japan is proud of the state-of-the-art technologies, which holds the metal forming machinery dedicated exhibition as representing one of the world top 2 countries in development and production. MF-Tokyo 2017 brings together metal forming machines, automated equipment, related equipment, processing technologies and service technologies, which draw a lot of attention and lead to open up the way in the development of manufacturing industries. In particular, MF-Tokyo attracts the attendance of many influential industrial professionals in the fields of press, sheet metal processing and forming. The sub-theme of MF-Tokyo 2017 will be “Connecting to the Future and Beyond”. We hope that professionals from various industrial fields relevant to metal forming machinery will take part in MF-Tokyo 2017, and sincerely look forward to your participation. FABTECH provides a convenient venue where you can meet with world-class suppliers, see the latest industry products and developments, and find the tools to improve productivity, increase profits and discover new solutions to all of your metal forming, fabricating, welding, and finishing needs. The annual event will offer more than 1,300 exhibitors and 28,000 attendees full access to over 550,000 net square feet of floor space. The 38th edition of Europort will take place from 7-10 November 2017 in Ahoy Rotterdam. Established as one of the world's leading maritime exhibitions, attracting visitor numbers of about 30,000 maritime professionals from 84 countries, Europort is a must attend for anyone who wants to stay ahead in the international maritime market. No other event has the scope of coverage Europort manages. Bringing together all sectors of the maritime chain under one roof, Europort is unrivalled as a platform to showcase innovation and connect to the wider maritime community. For the 2015 edition a number of 1,100 exhibitors and 16 country pavilions are expected. Innovations in agricultural machinery and equipment and the latest solutions and concepts for the future of plant production are presented every two years at AGRITECHNICA in Hanover, Germany. The world’s leading exhibition for agricultural machinery and equipment will be held again from 12 to 18 November 2017. North America’s largest commercial marine tradeshow in New Orleans, La. The WorkBoat Show is the only solution that can connect you to the best resources in the maritime industry all in one convenient location. With over 1000 exhibitors and thousands of innovative products, you’ll be able to meet and negotiate face to face with colleagues and suppliers to find the new ideas that bring in business and save you money. Our representation in China, Ortlinghaus Drive Technology (Shanghai) Co., Ltd., looks forward to seeing you. Our Ortlinghaus representation India, Ortlinghaus Drive Technology India Pvt. Ltd., looks forward to seeing you. Our representation in the USA, Orttech, is looking forward to meet you. Our Ortlinghaus representation in France looks forward to seeing you. The ITS Convention and Exhibition started life as the International Tug Conference in 1969 and has been held every two years ever since, apart from a break of three years between 1979 and 1982 so that delegates could participate in the 200th Anniversary celebrations of what was then Allan Brunton-Reed's family business, Thomas Reed Ltd (est 1782). At the 10th Conference in Sydney 1988, salvage was introduced into the programme for the first time, and the conference was renamed the International Tug and Salvage Convention and Exhibition. It was felt this title was a little long-winded, and in 1994 the name was abbreviated to ITS. Smart Shipping and Industry 4.0 will take centre stage, and anyone who is interested in the future of the maritime industry is already looking forward to the gathering of key players from the various sectors. And, with these programme highlights SMM will underscore its commitment to the maritime industry: Shipowners Forum, Maritime Future Summit, gmec – the global maritime environmental congress, MS&D – the international conference on maritime security and defence, Maritime Career Market. 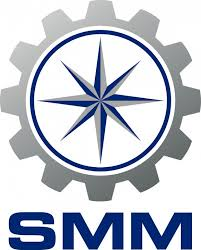 SMM is where you’ll meet the maritime industry’s leaders and experts all in one place. We look forward to welcoming you from 4 – 7 September 2018 in Hamburg. Our representation in the Netherlands, De Graaf Aandrijvingen B.V., looks forward to seeing you. From 23 – 26 October 2018 the 25th International Sheet Metal Working Technology Exhibition will open its doors again in Hanover, Germany. As the world’s leading exhibition for the sheet metal working industry, EuroBLECH offers a global platform for the presentation of the latest technology to a specialised audience of the industry’s key purchasers and decision makers. A total of 60,636 visitors from some 102 different countries came to Hanover in 2016 to get an overview of the latest technological developments in sheet metal processing and invest in new production equipment. 1,505 companies from 41 countries displayed their products and services on a record net exhibition space of 87,800m². Our representation in the USA, Orttech, looks forward to seeing you.